The world is digitalized and gone are the good old days of tradition. The internet is undoubtedly redefining the market and digital marketing is fast turning out to be the torch-bearer and messiah of the new generation of startups. To be noticed by the world, you need to be noticeable on the Internet that is the new thumb rule. Good content definitely goes a long way towards popularity but only the content isn’t enough. To master the search engine’s algorithm and manipulate it to your favor, you need some expert advice, and no one can provide it better than digital marketing agencies. Today, we're having an in-depth study on some of the best digital marketing agencies in Toronto. 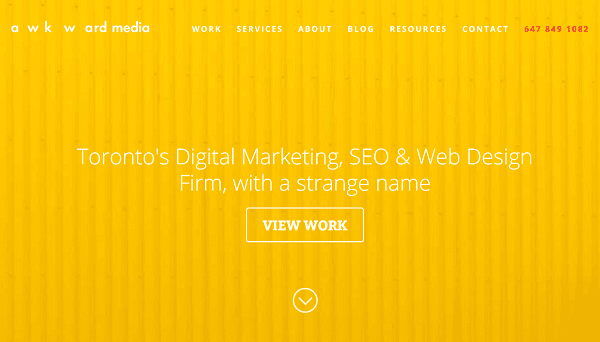 Below is a hand-picked list of best digital marketing agencies in Toronto. Go through them & let us know your thoughts on the same. 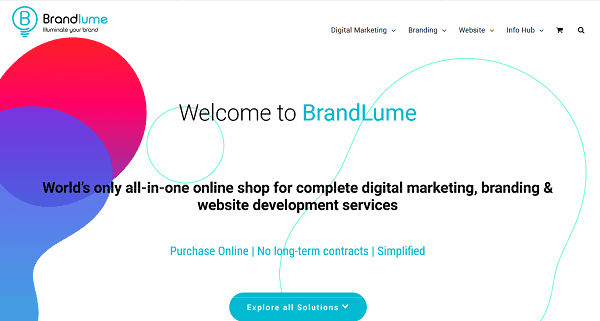 Brandlume is the world’s one-stop-destination for complete digital marketing, branding and website development services. They have no long-term contracts and will give you only what you want to buy. They also provide you with the option of cancelling your subscription within 30 days if you're going to. They do not charge according to your business’s size and are dedicated to giving you the best return on your investment. You don’t even need to fish for quotes, samples, or proposals. You can pick the service you want, give the guidelines and let Brandlume do the rest. They also have a friendly, customer-oriented support service who will guide you through the whole process and help you whenever needed. GoTo Marketers Inc's tagline is “Get Sh*t Done,’ and in that plain and straightforward manner, they have come to be the best digital marketing company in Toronto. They say that every company has a unique marketing mix, and they help to fill in the gaps to serve the best possible outcome. Majority of their focus is on content marketing. They seek to completely take over a company's marketing plan to let the company focus on its core business. With excellent reviews and a 4.8-star rating, GoTo Marketers is client-focused and charges $100-$149 per hour. It is your “go-to” marketing agency. Mediaforce Digital Marketing Agency which uses a client-centric approach and focuses on Search Engine Optimization to execute their marketing strategies. Their strategy is data-driven and they understand their customer by using data analytics to give them the best marketing service. They also incorporate machine learning and artificial intelligence into marketing strategies to provide users with a completely personalized experience. It uses AI to understand a company’s customer and then focuses on customizing the company’s website to give each customer a unique experience. They stick to their tagline “Take control of your digital future” to quite literally do that. THP is one of the world’s leading provider of content for brand managers and social media marketers. They specialize in content production of the video, photos, copywriting, graphic design, GIFs and cinemagraphs, custom content bundles, and social media optimized content. They provide services for community management, strategy development, social media Ad buying, influencer marketing and Amazon marketing. They follow a pay-as-you-go policy which removes the need for contracts or long term commitments to either company and thus reduces costs. THP gives you only what you need -nothing more, nothing less. Seoplus+ is a digital marketing agency dedicated to developing and implementing an extensive online marketing strategy for a company. They emphasize on Search Engine optimization and Pay-per-click strategy and help to increase sales and visibility. They also help to build the brand image through social media marketing. They even have a specialized web development team which seeks to design and develop stunning websites for your company to attract more and more customers. Their SEO development team targets not only Google but all the major search engines. 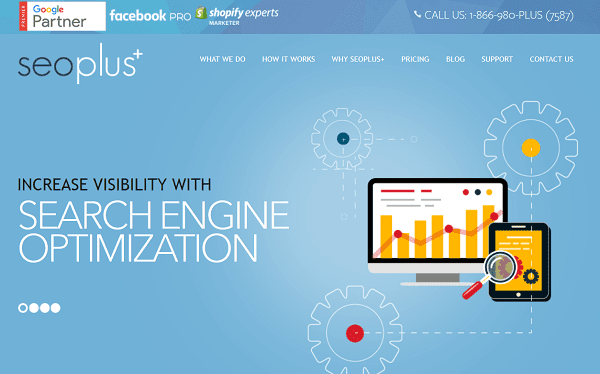 Seoplus+ is Canada’s best tool to get noticed online. Awkward media might be a strange name but awkward media acknowledges their strange name! Awkward media started without any definite aim but soon expanded to be a fantastic social media marketing agency. They focus on branding as they believe that building a brand is an essential function for a company. Next, they emphasise on SEO because visibility is important and knowing how to manipulate the Google algorithms will definitely keep you at the top of the list. They also work on developing Progressive Web Apps(PWA) and Google Adwords and backlink building. The bottom line is that you definitely cannot miss out on Awkward media. This is an agency like no other. They claim to combine the creative inspiration of the artist with the scientific rigour of the scientist to provide top-notch execution. They acquire customers through a data-driven approach and ensure the best digital marketing through SEO, PPC, social media marketing, media buying and content marketing and content promotion. They also imbibe experiential marketing to recognize the specific business goals your company has, gather consumer data as needed, and make your company visible on the internet. Asset digital communications is a bilingual social media marketing agency based in Toronto. They emphasise social media marketing, bilingual community management, email marketing, SEO, web development and design and PPC advertising. They provide rich social media campaigns to build a large follower base and builds traffic to your website. They create a strong online presence and seek to keep your company at the top of the list. Page Zero media is known for deep PPC marketing. 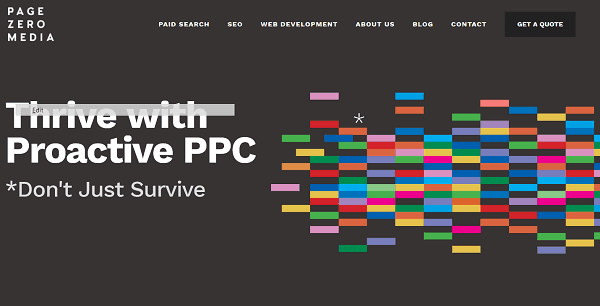 They stick to their philosophy of “thrive with proactive PPC, don’t just survive” and seek to nail the PPC strategy. They have a team of PPC dedicated individuals who don’t stop unless they provide you with the result you desire. They also focus on paid social media marketing to expand your reach and make you known all over the internet. They also have services pertaining to SEO, web development and the likes- everything which will help you maximize your company’s digital footprint. 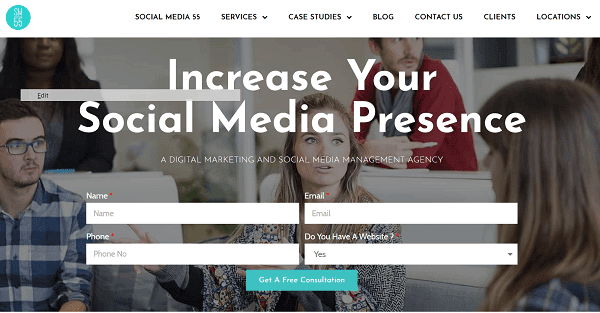 Social media 55 is now one of the most powerful marketers with the ability to communicate with users in real time. They offer innovative business solutions to attract the right audience for your company. 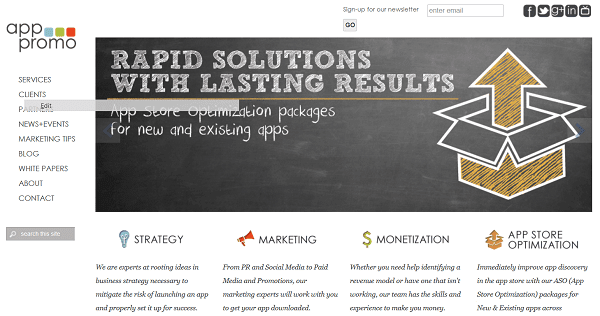 Their solutions to digital marketing are personalised. They say that the leading problem companies face when they try to delegate this job to internal departments is that they aren’t able to maintain these channels. Social Media 55 will maintain these channels of marketing to uphold the quality and turn an e-commerce platform into a service-oriented platform which will automatically attract more customers. App promo is mainly concerned toward apps and serves to mitigate the challenges which are usually faced while launching an app. They will focus on PR, Paid Media, promotions, and everything one can do to get your app downloaded. They work across all platforms-iOS, Android or Windows. They aim to help you make money through your app and they provide various App Store Optimization packages to help you do so. Their strategic services include ideation workshops, market analysis, competitor analysis and benchmarking, roadmap creations, and commercialization strategy.